Morocco summons romantic images. Americans recognize Casablanca as the place where Sam played his song. In Rick’s Place, the constabulary rounded up the usual suspects, and a beautiful friendship began. Dorothy Lamour, Bing Crosby and Bob Hope followed the road to the kingdom on North Africa’s coast. Morocco exists not only on celluloid. It inhabits the real world, and it may be setting a positive example for its peers. The so-called Arab Spring reached Morocco, whose monarch, Mohammed VI, acted pre-emptively. The king embraced institutional reform, which he submitted to the people in a referendum. Voters approved the measure in a landslide. Although the reforms do not transform Morocco into a United Kingdom of the Maghreb, they enhance the powers of elected representatives. Mohammed VI will continue to exercise authority beyond Elizabeth II’s ceremonial obligations. Morocco enjoys a reputation for tolerance and has not confronted the religious radicalism seen elsewhere in an arc that stretches from the Atlantic to the border between India and Pakistan. Economic challenges persist. Opponents of the regime say the referendum changes little, yet the citizenry itself appears hopeful. Enlightened monarchies are not myths. The dilemma is that enlightenment depends on the sentiments of the person occupying the throne. 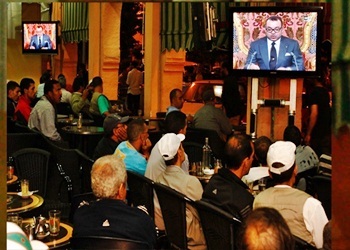 Morocco’s reform seems in safe hands with Mohammed VI. And if the changes live up to their promise, then the road from Morocco could lead to reform elsewhere in a region hungry for good government.